The Minuteman UPS ETR100LCD is designed for desktop and floor mounting. 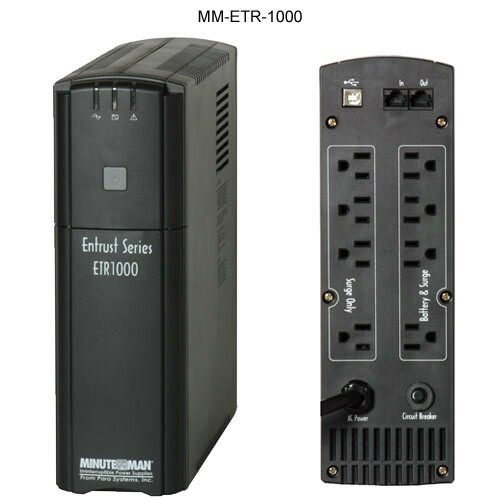 The Minuteman UPS ETR1000 for Computers not only protect your computer from electrical surges but also protects small severs, and voice and data networking. The Minuteman Entrust UPS Series also offers automatic voltage regulation, spike and surge protection, and battery backup.